Constantine's thoughts | To Teach is to Learn 3 times. Integrating ServiceNow and jQuery can be very intimidating. This post will go through the process of creating a ServiceNow page that integrates with jQuery and the jQuery UI libraries. 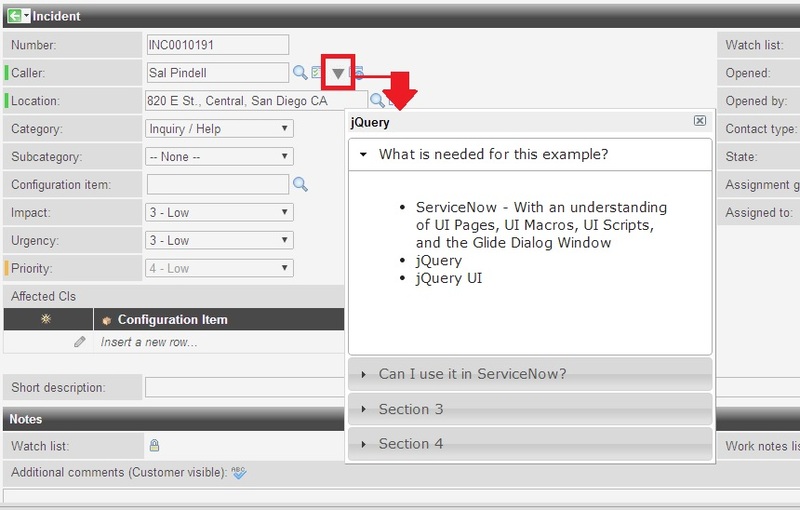 The ServiceNow page will be displayed through a GlideDialogWindow for a very clean and integrated effect that shows a window with the jQueryUI accordion plugin. View in Full Screen for best Quality. The Set-ADUser is a very powerful cmdlet that allows for changing a users attributes in Active Directory. 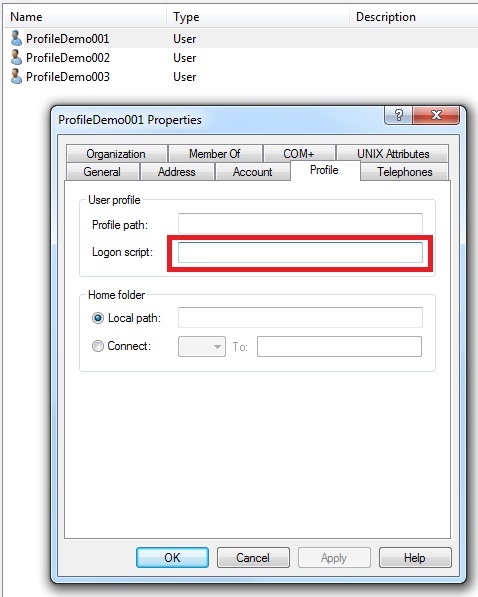 In this article, the Set-ADUser will be used to demonstrate how to change the logon script portion of a Users account in Active Directory. First, lets look at our User Account in question. The logon script is blank. 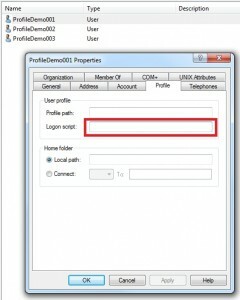 There are 3 user accounts for this demo that we are going to change: ProfileDemo001, ProfileDemo002, ProfileDemo003. In order to run the Set-ADUser command, we need to prepare some prep work. First, a CSV file needs to be created with the usernames that are going to be changed. 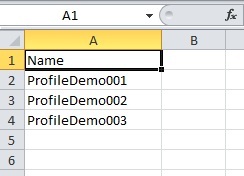 Below is a screenshot showing the CSV file inside Excel. 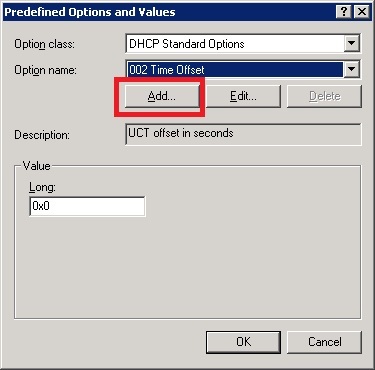 The following tutorial will show how to create new DHCP options on a Windows 2008 R2 server running DHCP services. 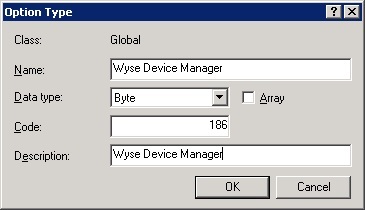 For this example, the following options will be configured for a WyseC10LE thin client. Step 3 : Enter the information needed, screen shots of option 161 and option 186 are below. Conclusion : After the scopes are created, values can be assigned at a global level, or for each scope. Please ask questions in the comments below. The VISE installer has the ability to perform silent installs. This demo will be using “Imagine It“; educational software for elementary students made by McGraw Hill. This demonstration is a walk-through of the information found in the VISE manual. The documentation does have a switch for a silent install (“-s”); however, it failed with the Imagine It Software. In order to install the software, the ” -r: recsettings.ini ” switch must be used. This will record all the input given to the setup program, and will save it in the same location as the installer file. Once it has been recorded, the data is loaded back into the setup by using ” -p: recsettings.ini “. Using the “-p: recsettings.ini ” will initiate a silent install. The following pictorial steps shows how this is done step by step. During the install for SCCM, the situation may exist where the AD Schema will not extend. The log file found at “C:\extadsch.log” may have the following. Failed to create attribute cn=MS-SMS-Site-Code. Error code = 5. Failed to create attribute cn=mS-SMS-Assignment-Site-Code. Error code = 5. Failed to create attribute cn=MS-SMS-Site-Boundaries. Error code = 5. Failed to create attribute cn=MS-SMS-Roaming-Boundaries. Error code = 5. Failed to create attribute cn=MS-SMS-Default-MP. Error code = 5. Failed to create attribute cn=mS-SMS-Device-Management-Point. Error code = 5. Failed to create attribute cn=MS-SMS-MP-Name. Error code = 5. Failed to create attribute cn=MS-SMS-MP-Address. Error code = 5. Failed to create attribute cn=mS-SMS-Health-State. Error code = 5. Failed to create attribute cn=mS-SMS-Source-Forest. Error code = 5. Failed to create attribute cn=MS-SMS-Ranged-IP-Low. Error code = 5. Failed to create attribute cn=MS-SMS-Ranged-IP-High. Error code = 5. Failed to create attribute cn=mS-SMS-Version. Error code = 5. Failed to create attribute cn=mS-SMS-Capabilities. Error code = 5. Failed to create class cn=MS-SMS-Management-Point. Error code = 8202. Failed to create class cn=MS-SMS-Server-Locator-Point. Error code = 8202. Failed to create class cn=MS-SMS-Site. Error code = 8202. Failed to create class cn=MS-SMS-Roaming-Boundary-Range. Error code = 8202. Failed to extend the Active Directory schema. Your Windows NT logon ID does not have the necessary privileges to extend the Active Directory schema, please find details in "C:\ExtADSch.log". Modifying Active Directory Schema - with SMS extensions. DS Root:CN=Schema,CN=Configuration,DC=DOMAIN,DC=dom Failed to create attribute cn=MS-SMS-Site-Code. Error code = 5. Failed to create attribute cn=mS-SMS-Assignment-Site-Code. Error code = 5. Failed to create attribute cn=MS-SMS-Site-Boundaries. Error code = 5. Failed to create attribute cn=MS-SMS-Roaming-Boundaries. Error code = 5. Failed to create attribute cn=MS-SMS-Default-MP. Error code = 5. Failed to create attribute cn=mS-SMS-Device-Management-Point. Error code = 5. Failed to create attribute cn=MS-SMS-MP-Name. Error code = 5. Failed to create attribute cn=MS-SMS-MP-Address. Error code = 5. Failed to create attribute cn=mS-SMS-Health-State. Error code = 5. Failed to create attribute cn=mS-SMS-Source-Forest. Error code = 5. Failed to create attribute cn=MS-SMS-Ranged-IP-Low. Error code = 5. Failed to create attribute cn=MS-SMS-Ranged-IP-High. Error code = 5. Failed to create attribute cn=mS-SMS-Version. Error code = 5. Failed to create attribute cn=mS-SMS-Capabilities. Error code = 5. Failed to create class cn=MS-SMS-Management-Point. Error code = 8202. Failed to create class cn=MS-SMS-Server-Locator-Point. Error code = 8202. Failed to create class cn=MS-SMS-Site. Error code = 8202. Failed to create class cn=MS-SMS-Roaming-Boundary-Range. Error code = 8202. Failed to extend the Active Directory schema. Your Windows NT logon ID does not have the necessary privileges to extend the Active Directory schema, please find details in "C:\ExtADSch.log". The user is a member of the Schema Admins group. If this still does not work, create a new user in Active Directory, and have that user only be a Domain Admin and in the Schema Admins group. Run the install again as this new user, and it should resolve the issue. 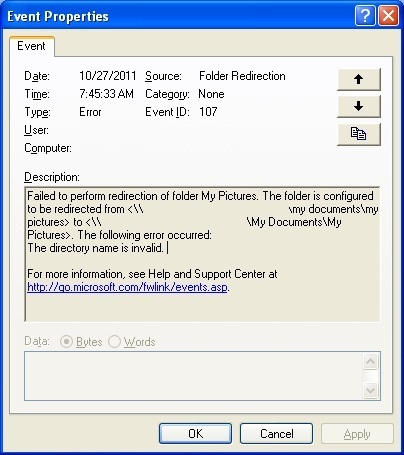 Otherwise, other sources of error will be related to Active Directory not replicating correctly. 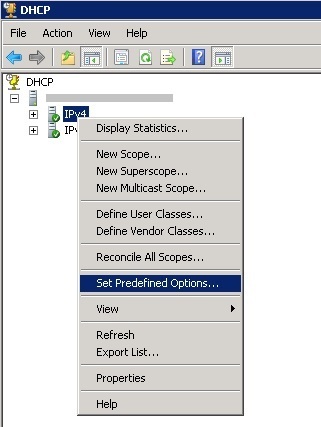 Situation : To have Ncomputing stations connect to a VmWare View virtual desktop. Technical Challenges : The major challenge is that the VmWare View software will only allow one instance of the program to run. There are ways around this to support the Ncomputing terminals, but they are not supported by either Ncomputing or VmWare. In the 4 years it takes to complete High School, there are a little over 2 Million Minutes (This is the total time.. i.e. sleeping, eating, commuting, school, etc.) The movie is focused on how this time is spent, and compares U.S. students with those in China and India. Below are my thoughts on the movie, as well as some key facts that really stood out. The U.S. education system has gone through many changes, but still follows the model that was set in place after WWII. Economist Richard Freeman is interviewed, and he makes a strong argument showing that the United States did not have to rebuild like war-torn Europe and Japan. It also didn’t go through the radical social change like communist China. This time in history has been used to show how America came out on top economically after WWII, and it also makes sense that this theory would apply directly into our current education model. This model reflects a time when the United States was still very much an industrial country and a degree wasn’t necessary in order to live a middle class lifestyle. Times have changed due to advances like the internet. All countries are now on a level playing field, and factory jobs are being replaced with information workers such as engineers, scientists, etc. The following statements were made in the movie, and it gives an example of how the general population currently views our education structure. “55 Percent of students do not take any math courses beyond two years of algebra and one year of geometry.” @ 10:45 into the movie.